While some of us may have wondered how it is possible that the bushy-browed Brooke Shields can need help growing eyelashes, there is no question that having full, long lashes is something desired by many women (and men too). And with demand comes a market, and in the case of eyelash elongating, a rapidly growing market. From February 2009 to February 2010, sales of false lashes increased 6.2%, making it a nearly $44 Million market, blowing other beauty product categories out of the water. But when lash-growth stimulators are factored into the game, lashes become nearly a billion-dollar beauty category. Product retailers aren’t the only ones getting in on the lash action; day spas and medical spas have spotted the trend too. Many spas offer treatments that satisfy customers looking for more permanent or semi-permanent effects that store-bought false lashes cannot offer. From medical spas that offer prescription products like Latisse, to day spas that offer the application of eyelash extensions, the spa community is catering to your needs. Lash extensions, which are applied individually lash by lash, come in both natural and glamorous looks. Pricing begins around $100 and goes up from there, and can take anywhere from one to three hours. Because our lashes are constantly falling out and re-growing, touch ups every 2-3 weeks are recommended to maintain the fullness. 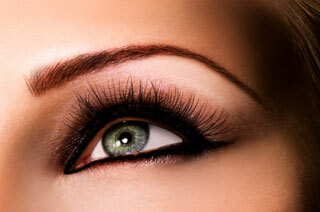 Tinting your lashes is another way to get a more lasting look, and is far less time-consuming than extensions. Tinting takes just 30 minutes and is reasonably priced, averaging around $30. The process can also be performed on eyebrows that are light or sparse. Eyelash Perms are also an option! Your spa technician will apply a safe solution that will give your lashes the perfect curl. 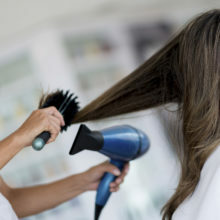 The intensity of the curl is adjusted to match each client’s needs, and the process is around one hour long. Results last for 4-6 weeks with the appropriate care, and pricing averages $100-$150 depending on whether or not you wish to perm just your top lashes or both top and bottom lashes. Latisse and other lash growth products are another option and are a way to grow your own lashes. Latisse is an FDA-approved treatment, but requires a prescription, which you can receive after a consultation with your dermatologist or medical spa professional. There are over-the-counter lash- growth products that also report topnotch results, like Rocasuba’s RapidLash,which is sold at just a fraction of the price of Latisse (think $50 compared to $120). L’Oreal also has released a Lash Serum which some believe will add millions of dollars to the brand’s yearly revenue. Products like Latisse are believed to extend the growth phase of lashes and to increases the number of hairs that grow during this phase. You should consult your dermatologist or doctor before trying a product like this. With lashes popping up as the next big craze in beauty, it seems that the possibilities are endless. 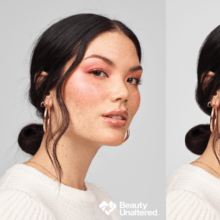 Cosmetic companies will surely be growing their eyelash lines, so for those who plan to stay loyal to their false lashes, more options may be on their way! Check out tutorials on false-lash application on YouTube and create a more malleable, less permanent look. 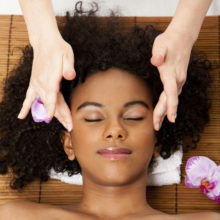 Find spas that offer Lash Tinting at SpaFinder.com.